Instantly downloadable sheet music by Ray Charles for piano solo of MEDIUM skill level. Alle Notenausgaben von I Believe To My Soul zum Herunterladen bei VirtualSheetMusic. Alle Noten von Ray Charles zum Herunterladen bei VirtualSheetMusic. Instantly downloadable sheet music by Sonny Rollins for piano solo of MEDIUM skill level. Alle Notenausgaben von Tenor Madness zum Herunterladen bei VirtualSheetMusic. Instantly downloadable sheet music by Randall Hartsell for piano solo of EASY skill level. Alle Notenausgaben von B-Flat Train Boogie zum Herunterladen bei VirtualSheetMusic. Alle Noten von Randall Hartsell zum Herunterladen bei VirtualSheetMusic. Instantly downloadable sheet music by Aaron T. Walker for piano solo of EASY skill level. Alle Notenausgaben von (They Call It) Stormy Monday (Stormy Monday Blues) zum Herunterladen bei VirtualSheetMusic. Alle Noten von Aaron T. Walker zum Herunterladen bei VirtualSheetMusic. Instantly downloadable sheet music by Bernard Besman for piano solo of MEDIUM skill level. Alle Notenausgaben von Boogie Chillen zum Herunterladen bei VirtualSheetMusic. Alle Noten von Bernard Besman zum Herunterladen bei VirtualSheetMusic. Instantly downloadable sheet music by Willie Dixon for piano solo of EASY skill level. Alle Notenausgaben von Evil (Is Going On) zum Herunterladen bei VirtualSheetMusic. Alle Noten von Willie Dixon zum Herunterladen bei VirtualSheetMusic. Alle Notenausgaben von Saint James Infirmary zum Herunterladen bei VirtualSheetMusic. Instantly downloadable sheet music by Robert Higginbotham for piano solo of EASY skill level. Alle Notenausgaben von Hi-Heel Sneakers zum Herunterladen bei VirtualSheetMusic. Alle Noten von Robert Higginbotham zum Herunterladen bei VirtualSheetMusic. Instantly downloadable sheet music by Ma Rainey for piano solo of MEDIUM skill level. Alle Notenausgaben von See See Rider zum Herunterladen bei VirtualSheetMusic. Alle Noten von Ma Rainey zum Herunterladen bei VirtualSheetMusic. Instantly downloadable sheet music by Jim McReynolds for piano solo of MEDIUM skill level. Alle Notenausgaben von Dixie Hoedown zum Herunterladen bei VirtualSheetMusic. Alle Noten von Jim McReynolds zum Herunterladen bei VirtualSheetMusic. 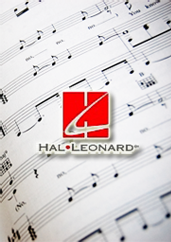 Instantly downloadable sheet music by Harold Arlen for piano solo of MEDIUM skill level. Alle Notenausgaben von Blues In The Night (My Mama Done Tol` Me) zum Herunterladen bei VirtualSheetMusic. Instantly downloadable sheet music by W.C. Handy for piano solo of EASY skill level. Instantly downloadable sheet music by Robert Higgenbotham for piano solo of MEDIUM skill level. Alle Noten von Robert Higgenbotham zum Herunterladen bei VirtualSheetMusic. Instantly downloadable sheet music by Eddy Arnold for piano solo of EASY skill level. Alle Notenausgaben von You Don`t Know Me zum Herunterladen bei VirtualSheetMusic. Alle Noten von Eddy Arnold zum Herunterladen bei VirtualSheetMusic. Instantly downloadable sheet music by Jimmie Cox for piano solo of MEDIUM skill level. Alle Notenausgaben von Nobody Knows You When You`re Down And Out zum Herunterladen bei VirtualSheetMusic. Alle Noten von Jimmie Cox zum Herunterladen bei VirtualSheetMusic. Instantly downloadable sheet music by Eric Baumgartner for piano solo of EASY skill level. Alle Notenausgaben von Little Rock (`N` Roll) zum Herunterladen bei VirtualSheetMusic. Alle Noten von Eric Baumgartner zum Herunterladen bei VirtualSheetMusic. Instantly downloadable sheet music by Fletcher Henderson for piano solo of EASY skill level. Alle Notenausgaben von Gin House Blues zum Herunterladen bei VirtualSheetMusic. Alle Noten von Fletcher Henderson zum Herunterladen bei VirtualSheetMusic. Instantly downloadable sheet music by Willie Dixon for piano solo of MEDIUM skill level. Alle Notenausgaben von I Just Want To Make Love To You zum Herunterladen bei VirtualSheetMusic. Instantly downloadable sheet music by Billy Taylor for piano solo of MEDIUM skill level. Alle Notenausgaben von I Wish I Knew How It Would Feel To Be Free zum Herunterladen bei VirtualSheetMusic. Alle Noten von Billy Taylor zum Herunterladen bei VirtualSheetMusic. Instantly downloadable sheet music by Ornette Coleman for piano solo of MEDIUM skill level. Alle Notenausgaben von Turnaround zum Herunterladen bei VirtualSheetMusic. Alle Noten von Ornette Coleman zum Herunterladen bei VirtualSheetMusic. Instantly downloadable sheet music by Fats Waller for piano solo of MEDIUM skill level. Alle Notenausgaben von My Feelings Are Hurt zum Herunterladen bei VirtualSheetMusic. Alle Noten von Fats Waller zum Herunterladen bei VirtualSheetMusic. Instantly downloadable sheet music by Mertis John Jr for piano solo of MEDIUM skill level. Alle Notenausgaben von Need Your Love So Bad zum Herunterladen bei VirtualSheetMusic. Alle Noten von Mertis John Jr zum Herunterladen bei VirtualSheetMusic. Instantly downloadable sheet music by Joe Ahr for piano solo of MEDIUM skill level. Alle Notenausgaben von Roanoke zum Herunterladen bei VirtualSheetMusic. Alle Noten von Joe Ahr zum Herunterladen bei VirtualSheetMusic. Instantly downloadable sheet music by Herbie Nichols for piano solo of MEDIUM skill level. Alle Notenausgaben von The Lady Sings The Blues zum Herunterladen bei VirtualSheetMusic. Alle Noten von Herbie Nichols zum Herunterladen bei VirtualSheetMusic. Instantly downloadable sheet music by W.C. Handy for piano solo of MEDIUM skill level. Alle Notenausgaben von Sweet Home Chicago zum Herunterladen bei VirtualSheetMusic. Instantly downloadable sheet music by Henry Glover for piano solo of EASY skill level. Alle Notenausgaben von I`ll Drown In My Tears zum Herunterladen bei VirtualSheetMusic. Alle Noten von Henry Glover zum Herunterladen bei VirtualSheetMusic. Instantly downloadable sheet music by Andy Razaf for piano solo of EASY skill level. Alle Notenausgaben von Honeysuckle Rose zum Herunterladen bei VirtualSheetMusic. Alle Noten von Andy Razaf zum Herunterladen bei VirtualSheetMusic. Instantly downloadable sheet music by John David Souther for piano solo of MEDIUM skill level.